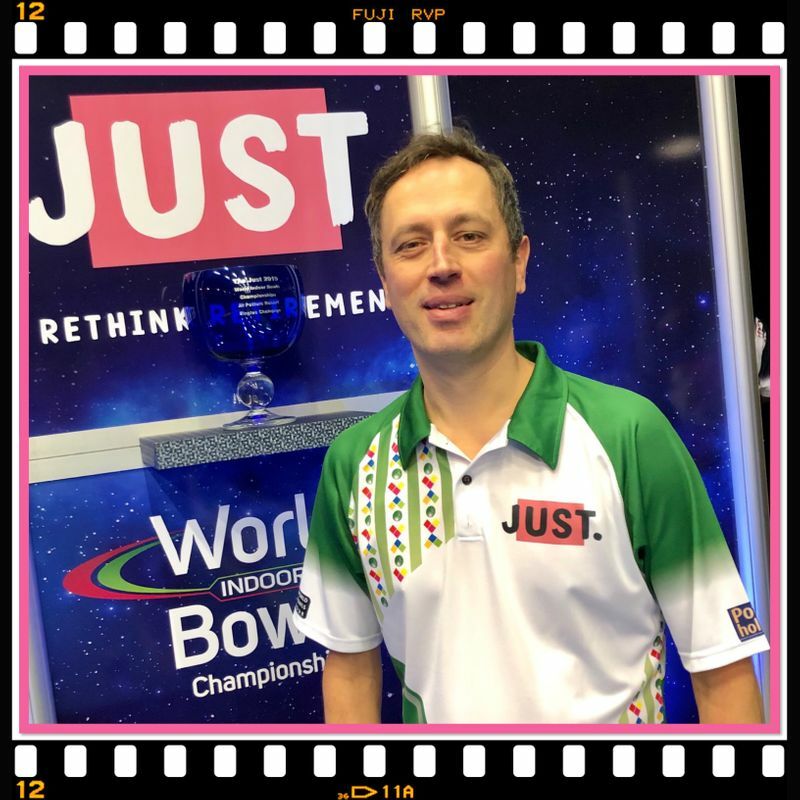 Less than five hours after winning the World Mixed Pairs with Ellen Falkner, Rob Paxton returned to the portable rink for a 2nd Round World Singles clash against Tourcard Replacement player Scott Evans. Paxton, seeded 4, who lost in the final of this event last year to Mark Dawes from Blackpool, was left bitterly disappointed as he failed to find his form with lady luck also deserting him at vital periods throughout the match while Edwards gave a solid, consistent performance to win in straight sets 7-3, 7-6. That victory sets him up for a quarter final challenge on Friday afternoon against number 12 seed Les Gillett in the top half of the draw.